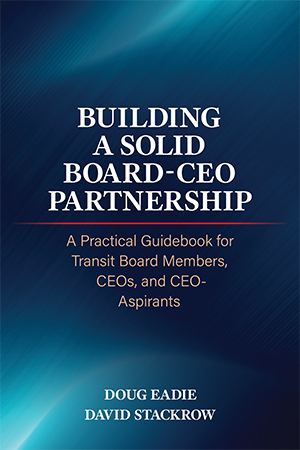 It was a distinct privilege and pleasure teaming up with Dave Stackrow in presenting our “Building a Rock-Solid Transit Board-CEO Partnership” program on July 24 in Chicago at APTA’s Transit Board Members and Board Support Seminar. You no doubt know that Dave chairs APTA’s Transit Board Members Committee and serves on the Executive Committee. 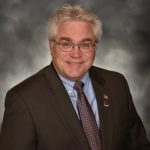 He is also the long-time Chair of the Board of the Capital District Transportation Authority (Albany, New York), where we first worked together on a board development project almost 15 years ago. Dave and I couldn’t have been more pleased by the participants in our session, who not only peppered us with thought-provoking questions and shared their real-life boardroom experiences, but also asked for an unscheduled follow-up session that afternoon. My travel schedule didn’t allow me to sit in on the afternoon get-together, but Dave says that the really insightful questions posed by the dozen or so participants easily filled the 90 minutes that afternoon. One of the hottest discussion topics at our workshop was board committees. As Dave observed when introducing the topic mid-point in the workshop, committees might not be the sexiest of subjects in the world of transit governance, but they can “make or break” a board. On the negative side of the ledger, if a transit board allows itself to be trapped by a poorly designed “silo” committee structure, consisting of committees narrowly focused on operational and administrative functions (for example, a bus operations or personnel committee), the board’s impact on an authority’s affairs will be severely limited Adding insult to injury, narrow silo committees virtually guarantee that a board will become mired in micromanaging, inevitably setting up an adversarial relationship with the CEO and senior managers. Dave used CDTA as a case in point when describing how well-designed board standing committees can be the preeminent key to unleashing the full governing potential of a transit board. As Dave and I explained, well-designed committees correspond to broad governing functions such as planning and performance monitoring that cut across all of a transit authority’s operations. 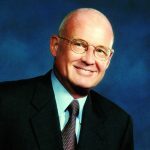 These broadly functional committees not only enable board members to make high-impact decisions affecting the whole authority, they also can serve as forums where the CEO and senior managers can work with board members in mapping out how the board will be engaged in planning, budgeting and monitoring processes. We had a great time exploring this process design role of committees with workshop participants in the morning, and Dave was able to delve deeper in the afternoon. Dave and I pointed out that CEOs who are willing to work with board committees in mapping out processes for involving board members in such key governing functions as strategic and operational planning are truly strong leaders. In that regard, you might want to check out an article that appeared at this blog a couple of years ago, “Anything But Wimpy:” https://boardsavvytransitceo.com/anything-wimpy/. « How Are You Doing as Your Board’s Chief Governing Partner?